When I began this alphabetic series, Teaching Kids About Character, I sat down and listed all the positive qualities that I wanted my son to have. 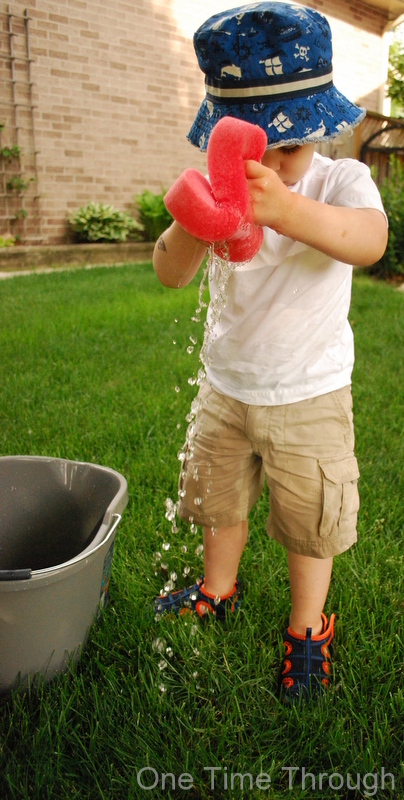 I came up with a great list and have been doing a lot of thinking each week about what I am doing to help encourage these qualities in my 2.5 year old son, Onetime. After reflecting on all of these qualities – I realized that some of these things can be taught or encouraged, while others are just reasons why you are attracted to certain friends. Specifically, I think that we can do a lot to encourage kids to be kind and thoughtful, flexible, and attentive and empathetic listeners. So, I started to think about how I can encourage these things in my son. After all, we are our children’s first friends. How we interact with them becomes a template for how they will interact with others as they grow up. How can we encourage our kids to be kind to others? The most obvious answer to me is to be kind and thoughtful towards our kids and towards others. 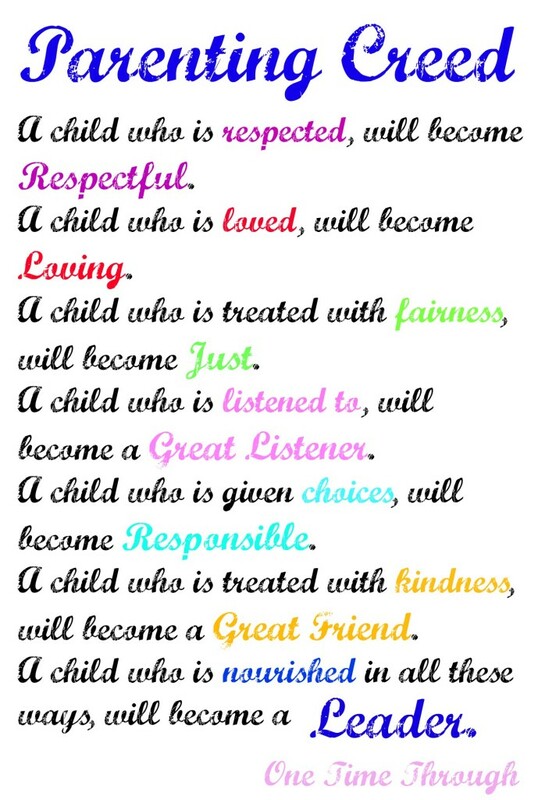 If we think about the things that kids find especially challenging when they are young, we can also model how to do these things positively. 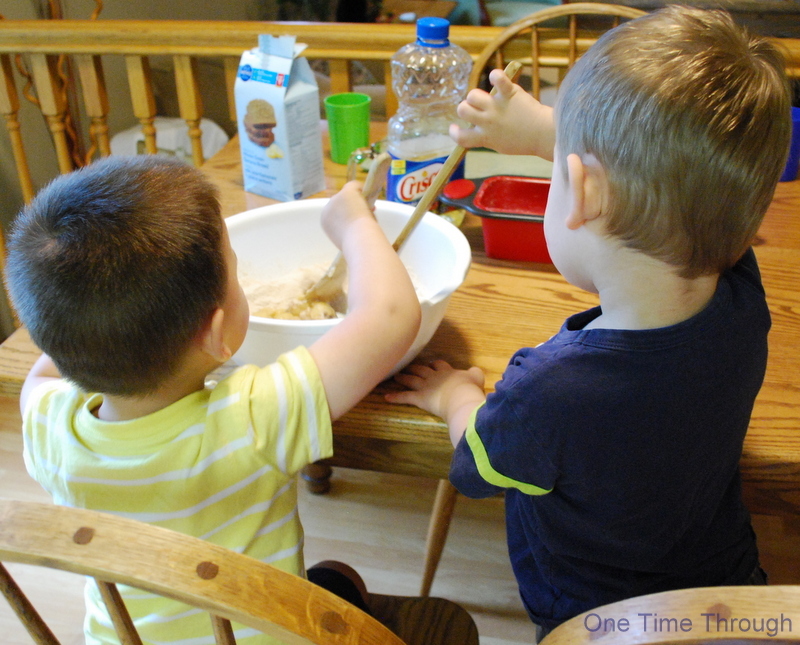 For example, most preschoolers have a difficult time sharing and taking turns. Learning to do both of these things builds flexibility. At our home, my husband and I try to create opportunities to practise this. I will get out a snack for all of us to share. When playing with Onetime, I will ask him if he’d like to use my toy for a while and I can use his. I’ve also got a great turn-taking pompom game that’s really fun for little ones and is a great way to practise counting too. 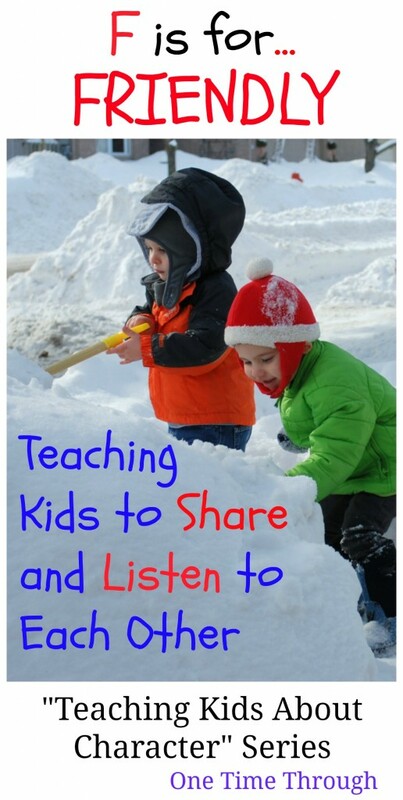 Aside from creating opportunities to practise sharing and turn-taking, I also try to use the words for the behaviours. In Adele Faber and Elaine Mazlish‘s book, How to Talk So Kids Will Listen & Listen So Kids Will Talk they recommend labelling or describing your child’s positive behaviours instead of praising them. Basically, I describe what he did and then give it a positive label. Faber and Mazlish argue that kids will come to eventually see themselves in positive ways when you describe and label their positive behaviours. But can’t you just praise kids for kindness and for sharing? Well, another one of my favourite parenting experts, Alfie Kohn, author of Unconditional Parenting would say not to. He warns of the dangers of praising kids. Research that has found that kids who are praised for kindness, cooperation, or sharing, (eg. “Good sharing Johnny!“) are actually LESS likely to repeat those behaviours. They come to depend on the external reward of the praise given by an adult, instead of finding out themselves that it feels good to DO good. If you’re looking for other ideas for helping your child to develop kindness, check out the website: randomactsofkindness.org. That’s where I got the “poster” below. 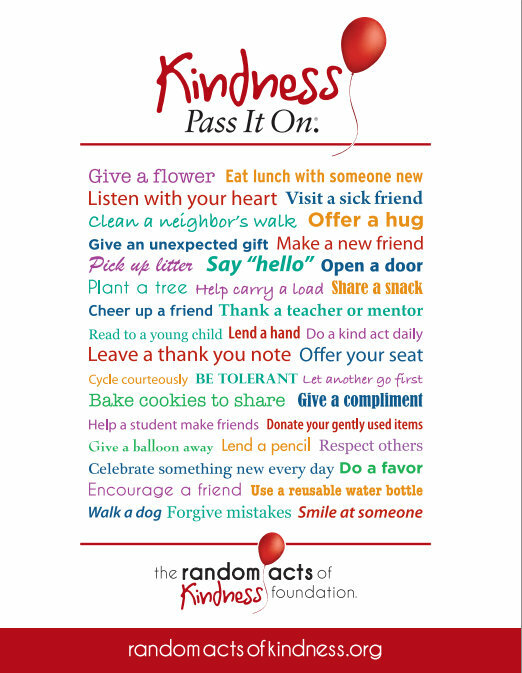 They have lots of FREE resources for parents and teachers including downloadable kindness posters (one shown below), as well as printable cards that kids can give to friends, calendars, tags and bookmarks. I think over the next few months, we are going to try and work our way though this fun list! How well we listen to our children directly impacts how well they listen to others – including friends, siblings, and others down the road like teachers, coworkers, and spouses. Kids learn all the basic patterns of communication from us (no pressure!) But, they are just like sponges aren’t they? Years ago when I was a young Psychology student, I had an internship at a hospital with a Child Psychologist who ran a parenting education program in the community. I helped facilitate this program as part of my internship, and even though I did not have my own children at that point, I learned a lot of skills that I would not soon forget. Probably the biggest emphasis in that parenting course was given to Lesson #1: Attentively Listening to Your Child which was taught over several weeks. The idea was that so many of children’s “misbehaviours” were misguided attempts to get their parents’ undivided positive attention. I learned from that course that there are 3 things necessary to really LISTEN to your kids – one of the best ways you can give them attention (at any age!). First – you have to give them your FULL, undivided attention. Meaning – you’re not also listening to the TV, or texting on your phone, or reading a magazine. Second, you need to look at your child and not interrupt them or finish their sentences for them. Sometimes it takes much longer for young children to express their thoughts than we do and if you just give them an extra 5-10 seconds, they’ll get out more than you would have thought. Third, repeat back to them what you think they said. You can even ask, “Is that right?” This is called reflecting or paraphrasing if you put it into your own words. When my son was first learning to speak, (and still today) I would often have difficulty understanding a few of his words. So, I would literally repeat back the sounds I had heard, then he would express them again, and I would repeat them again, until we could finally understand each other. A few times he got frustrated that I wasn’t understanding, and I would get frustrated too, but when I stuck with it, it showed him that I was truly interested in what he had to say. The bonus here is that when you practise reflecting with your child, you are role-modelling a skill that hopefully your child will naturally come to use as he/she grows up. Remember…SPONGE! What does this have to do with Friendliness? Well, you know that a friend is really listening to you when they are looking at you, nodding, and they can paraphrase what you said. It shows they really “got” what you were saying. 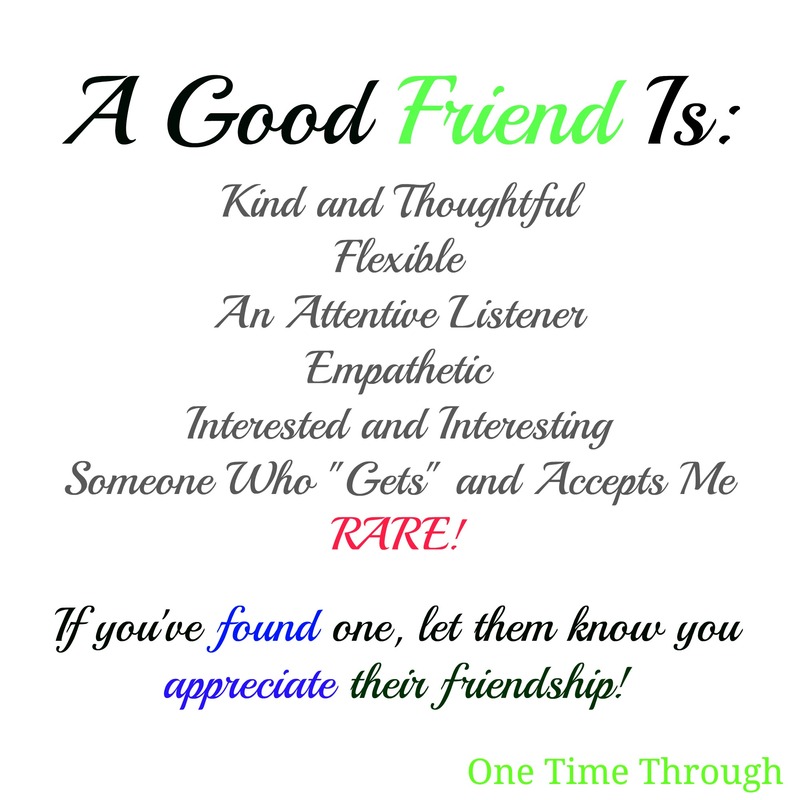 It is just what good listeners do – and good listeners make great friends (and great partners) – don’t they? 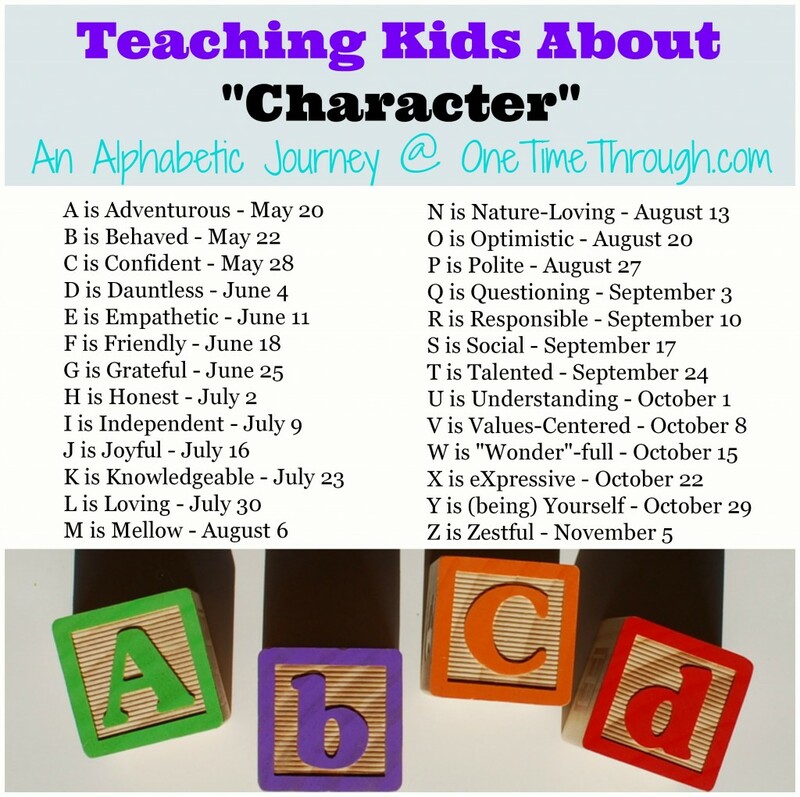 To keep following our alphabetic journey Teaching Kids About Character make sure to visit the Character Series page.